Again in 2011, Howard L. Gum was included in North Carolina’s “best of” lists. Super Lawyers™, a national legal peer-review agency that lists 5% of lawyers in each state, lists the recipients of their statewide review each year who received the greatest number of points. These top point awardees are recognized in Super Lawyers™ Top 100 List. Howard was previously honored on the Top 100 List in 2006. The Best Lawyers in America annually lists approximately 40,000 lawyers nationally in 80 categories. Howard has been included on this list for more than two decades. Of the 19,000 lawyers in North Carolina, 28 family law attorneys are included in the The Best Lawyers list. The two family law attorneys included from Western North Carolina are members of the Gum, Hillier & McCroskey firm. 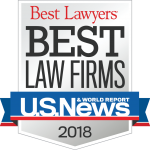 The Best Lawyers in America also lists the top rated law firms in any given area. This year Gum, Hillier & McCroskey was listed along with four other Asheville law firms. The Business North Carolina Legal Elite List is an independent peer-review survey sponsored by Business North Carolina Magazine. It includes approximately 3% of lawyers in North Carolina. Historically only including business categories, The Business North Carolina Legal Elite List added the Family Law category in 2009, along with a Young Guns category, bringing the total number of evaluated areas to 14. Howard has been included in the Family Law category since 2009. In addition to these honors, Howard has held a 5.0 of 5.0 AV Preeminent Rating from Martindale-Hubbell since their ratings review system changed in recent years. Howard has held the highest honors from Martindale-Hubbell for more than a decade. Approximately 85 of more than 600 Asheville lawyers have acquired Martindale’s AV Preeminent designation.